Depending on who you ask, a fluted barrel is either the solution to all your woes, or a complete waste of money. Few would deny its aesthetic appeal, but a purely aesthetic improvement can be hard to justify. Having your barrel fluted comes with certain risks too, which is why many buy an aftermarket barrel instead. Improper fluting can cause uneven heating, if one flute is deeper than the others. That can reduce accuracy and cause the barrel to warp or crack. If too much material is taken off, the barrel could fail completely. On the positive side, there are three main benefits that pop up anywhere barrel fluting is discussed. 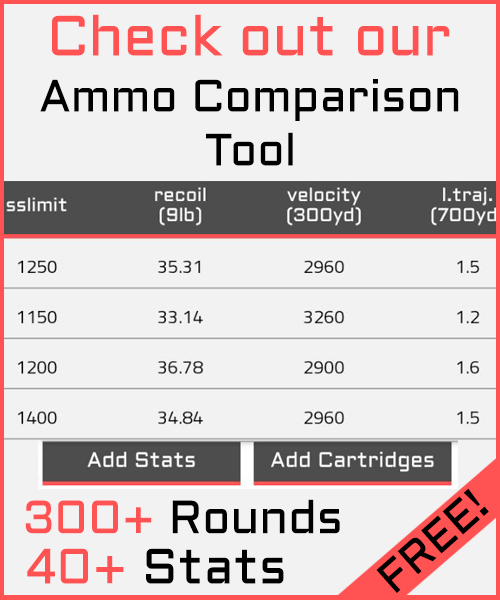 Weight savings, improved barrel rigidity, and better heat dissipation. At first glance these claims make a certain amount of sense, which is why they’re listed so often, but a closer examination reveals a more realistic picture. The weight saving benefit of fluting is certainly true. A barrel with less material will weigh less than one with more material. Overall weight savings are dependent on how much material is removed, and its significance depends mostly on the needs of the shooter. Bolt fluting is becoming a more common sight too, usually in a helical spiraling pattern, but the weight savings from that are negligible. The short length of the bolt and type of fluting make it more of an aesthetic alteration, and when done well it is quite beautiful. Despite how inflexible a barrel may feel, it still whips up, down and around a small amount when the gun is fired. The first rigidity assumption is that a more rigid barrel will be more accurate. This is true, but only regarding consistency. If a barrel doesn’t flex very much after firing, the second shot should leave the muzzle close to where the first shot did. If the barrel is whipping up and down, the muzzle may be higher or lower than it was during the first shot, and the bullet will exit the barrel at that higher or lower point. This is most noticeable when shooting at further distances, since even a small deviation can result in a wide group. To minimize this flex, barrel fluting is suggested as a solution. To understand why this belief is so popular, knowing how metal behaves when bent is helpful. 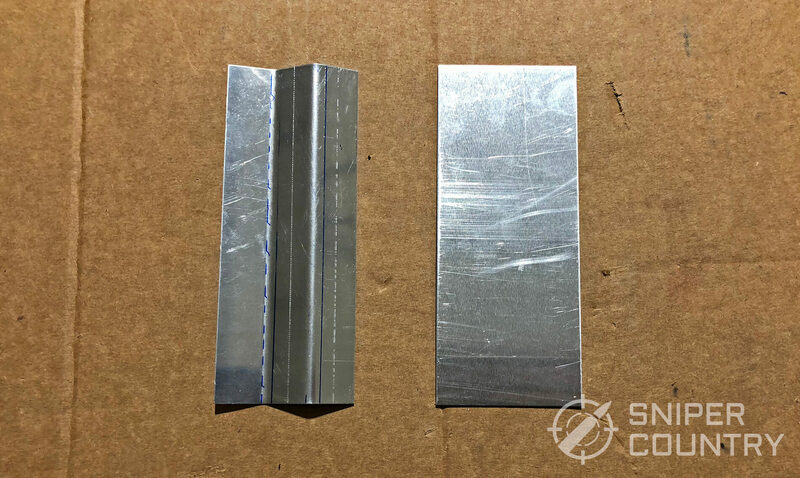 For example, a piece of sheet metal with bends in it will be more resistant to flexing than a completely flat piece. That is due in part to a stronger geometry, the angular shape, but more importantly work hardening. The hardening that comes from bending the metal while its cold, also called cold working, plays a much bigger role. Work hardening strengthens the piece, but also makes it more brittle. Gun barrels are normally not work hardened. They are heat treated at a temperature that leaves them soft/ductile enough to prevent cracks during normal use, and hard/stiff enough to keep the rifling from wearing down too quickly. All fluting will do is remove material, so no strength is gained from it. Continuing with the removal of material, you may hear that metal can be stronger with a portion of it removed. 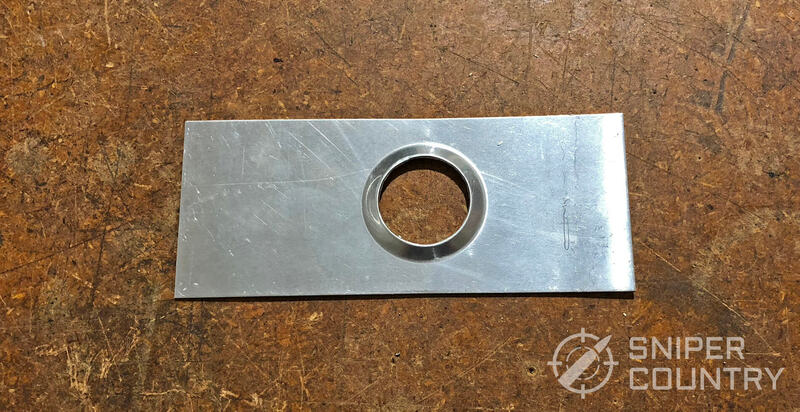 It is possible for a piece of sheet metal with a hole in the middle to be as stiff or stiffer than one without, when the area around the circle is flanged, or raised up slightly. This is called a lightening hole, since they lighten the piece of metal, and they’re used extensively in the construction of buildings, cars and airplanes. But, that flange is a form of work hardening, and so doesn’t apply. The next claim is that the reduced mass of the fluted barrel will cause the barrel to return to center more quickly. The rigidity of a steel tube is heavily dependent on wall thickness and outside diameter. Normally fluting reduces wall thickness, which does reduce its mass, but also reduces rigidity. Fluting generally ends before the end of the barrel too, making the end have potentially more mass than the middle. That on its own makes the wobble more significant. A barrel that tapers to smaller diameter at the muzzle will do a better job of stopping the wobble, but ideally a shorter and/or thicker barrel should be used. If the fluted barrel were to be the same weight as the non-fluted barrel, the fluted barrel would be more rigid since it would have a much greater outside diameter. This defeats the weight savings of fluting though, making it not all that beneficial. Heat management has always been a significant factor in firearm design. The most immediate problem heat can cause is a reduction in accuracy, but prolonged firing without adequate cooling can lead to many different kinds of malfunctions. Black powder burns at around 2500F and smokeless powder burns at around 5000F. Heat is also created from the friction of the bullet going down the barrel. That heat must go somewhere, and most of it is absorbed by the barrel, which is why barrels can get pretty toasty in a short amount of time. As a result, several different cooling methods have arisen over the years, some being more successful than others. Fluting is one such method, and while it has its place, there is a reason you don’t see it as standard on every barrel. To understand where fluting helps and where fluting hurts in regard to heat, we need to look at how easily a barrel can heat up and then shed that heat. Steel, which a gun barrel is normally made of, has a lower thermal conductivity than other familiar metals like aluminum or copper. In short, that means it takes longer to heat up than other metals, but it also doesn’t shed heat as quickly. 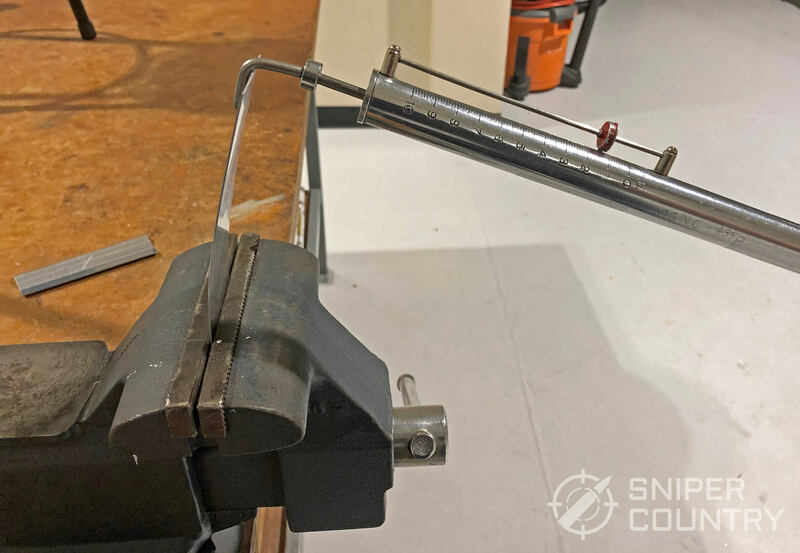 This is where the balance comes in, since a barrel without fluting will have more metal, which will take longer to heat up than a fluted barrel. But, the reduced material of a fluted barrel should cause the barrel to cool down more quickly than a non-fluted barrel. It may seem counterintuitive, but the increase in surface area doesn’t have much of an effect on cooling. It’s just not enough of an increase for it to matter. If the barrel had lateral fins that ran down the length of the barrel, it would make a noticeable difference. 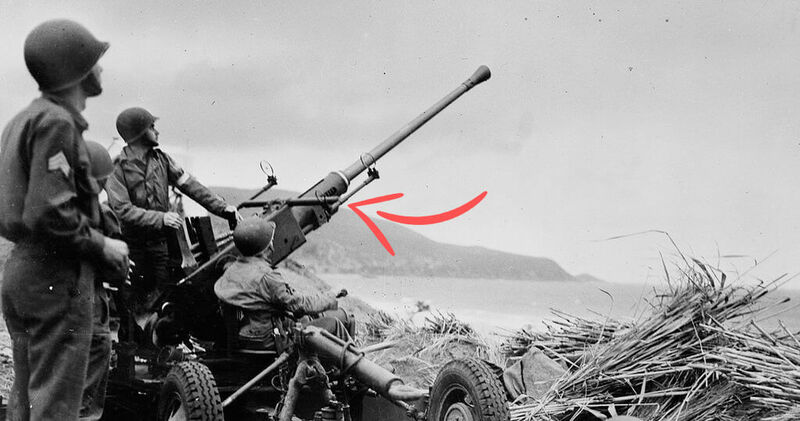 Larger caliber guns like anti-aircraft guns often have an aluminum finned sleeve over the barrel that helps with cooling. For fluting to be done properly, the cuts must be very precise. Each one needs to be identical to prevent damage to the barrel. If the milling is done with a dull edge, it can create stress risers or weak spots along the barrel. The heating and cooling from shooting can cause the barrel to crack as a result. Poor milling can also cause the barrel to stretch in some areas, which will cause work hardening in a similar way to what was touched on above. Since the barrel is intended to be a balance of rigidity and ductility, this work hardening is a detriment to the barrel. Fluting a barrel can affect its harmonics, which may not be noticeable to the average shooter, but for extreme accuracy at long distances, it’s another factor that comes into consideration. The barrel will vibrate at a certain frequency when a round is fired. Shooters who are familiar with this will experiment with different cartridges, specifically their different dwell times, to minimize the effect the vibration will have on accuracy. Once a barrel is fluted, the cartridge that worked well before may not be as accurate, and more experimentation could be required. These problems are why some barrel makers refuse to flute their barrels. They will usually also revoke warranty coverage if their barrels are fluted. As much fun as physics and thermodynamics can be, the real question is, “do I want my barrel to be fluted”. Rather than a blanket yes or no, the best way is to break it down by firearm. They will also be broken down between automatic and semi-automatic, since there is a difference in use, and most firearm owners are only able to own semi-automatic guns. Kudos if you have one, but probably not, no. 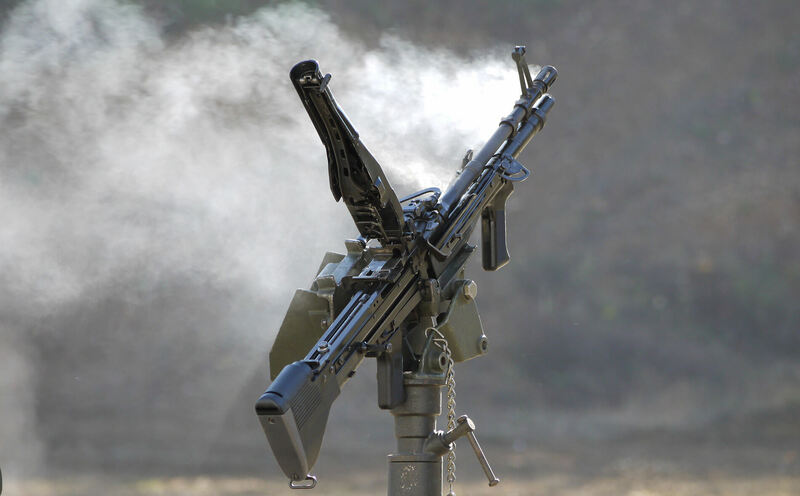 Even with great airflow flutes do not work well enough to handle the heat of sustained automatic fire. If it were that simple, water cooling and periodic barrel swaps wouldn’t have been needed during their heavy use in WWI. 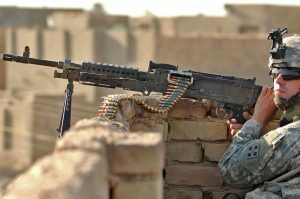 More modern machine guns that are air-cooled, like the M240, generally have fins in addition to a thicker barrel, but still need the barrel to be swapped out when they get too hot, which negates the weight saving benefit flutes can provide. Like its larger caliber brother, submachine guns would have little benefit from fluting. 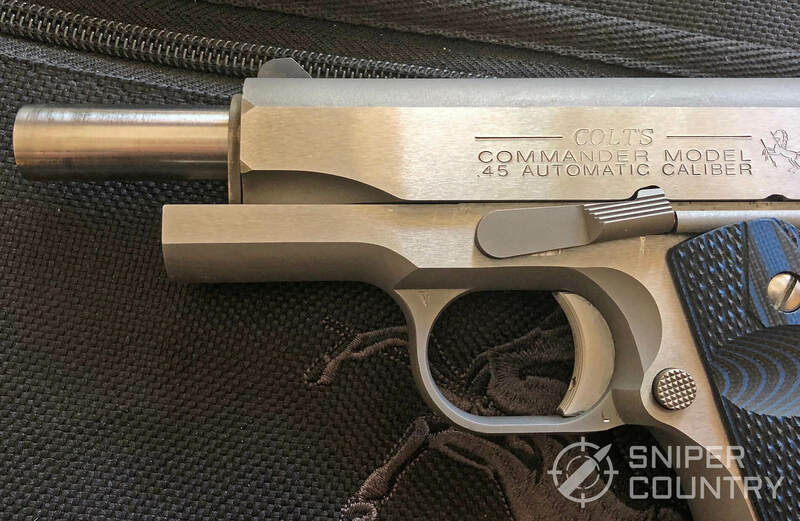 Most have barrels in the 5-6” range, not much longer than most pistols. 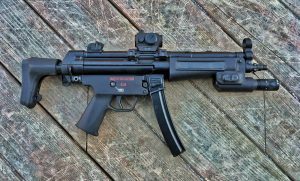 The minimal weight savings would not outweigh the need for a thicker barrel to handle the higher temperatures of automatic fire. Older submachine guns, like the Thompson, had lateral fins towards the end of the barrel to aid in cooling. Guns like the M4, which fire an intermediate caliber like 5.56, have their own specific needs. They typically have a barrel around 14” in length, which is long enough for fluting to be a noticeable benefit. But the nature of their use as automatic weapons benefits more from a thicker barrel. When the M4A1 was released, a thicker barrel was one of the early changes, which coincided with the change to an automatic fire option instead of 3-round burst. A thicker, heavier barrel also helps with recoil control during automatic fire. This is the most common gun to see fluted, and with good reason. 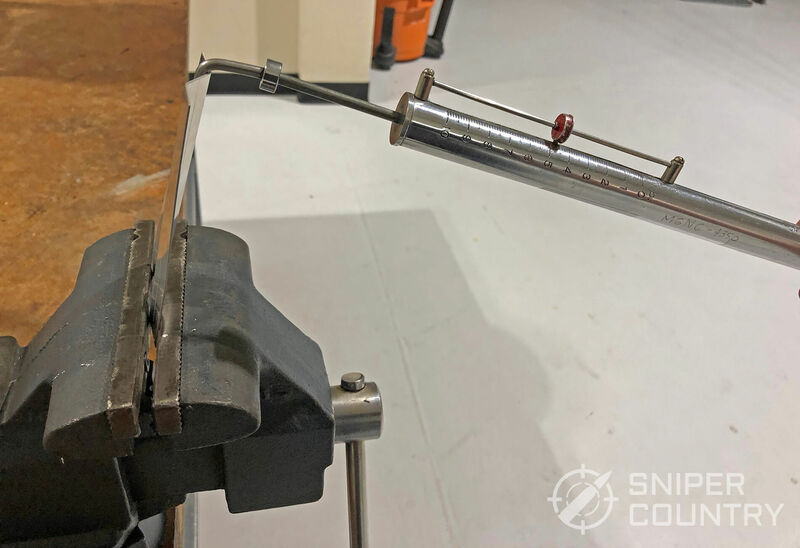 The barrel is long enough for weight savings to be a noticeable benefit, and the rate of fire is usually slow enough that the barrel would have enough time to dissipate the heat. Hunters will find fluting beneficial, especially those that do a bit of hiking to get to their preferred location. Going back to the issue of rigidity, the spacing between shots should allow the barrel to return to its original position. The caliber of hunting rifles can vary quite significantly depending on the size of the game, so some rifles may have more material that can be safely shaved off than others. 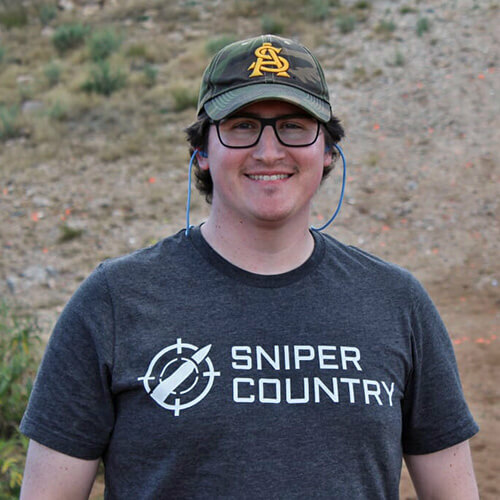 The line between a hunting rifle and a target rifle has blurred a bit in the last few years but if you’re using a rifle like one pictured above, target shooting is usually the application. Most using such a rifle will be shooting from a bench rest or prone position, so weight savings of a fluted barrel don’t matter as much. The accuracy benefits of a thicker barrel will be more noticeable, which is why bull barrels are a common sight on this type of rifle. Guns like the Ruger SR-762, or Springfield M1A would fit in this category. The higher pressures of cartridges like the .308 require a beefier barrel, and increased firing speed over a bolt action .308 would result in more heat being generated. 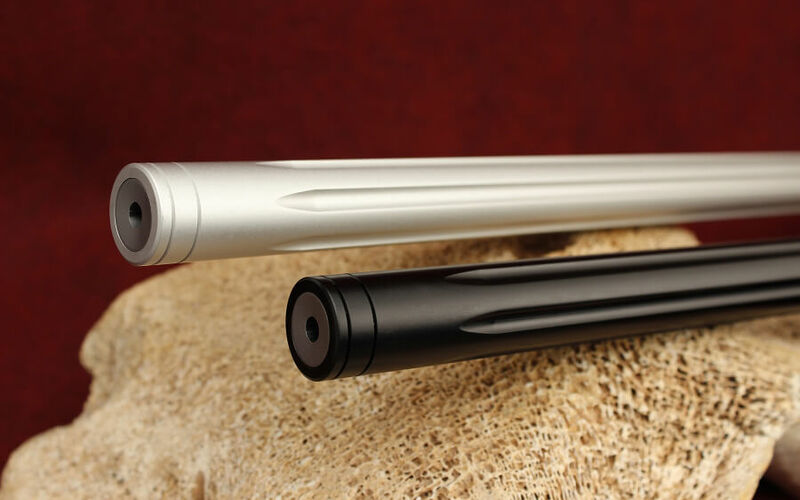 Most aftermarket barrels available have a tapered barrel that is thinner at the muzzle than the breech, which helps save weight when compared to a fluted barrel with a much larger overall diameter. 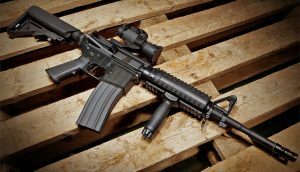 This category includes typical AR style rifles in 5.56 or 7.62, and the newer options like 6.5 Creedmoor and .300 Blackout. With the average barrel length being 16” or longer to meet legal requirements, a fluted barrel can save a noticeable amount of weight. The tradeoff, as stated before, is in how quickly the barrel will heat up and affect accuracy. If the rifle is intended to be carried and used for longer range shooting with time for the barrel to cool, fluting could be worthwhile. But for shooters more interested in general plinking at the range, there isn’t a performance benefit. The amount of fluting is also limited since the gas system requires a port that is the normal diameter of the barrel. Pistol caliber carbines and guns like the Ruger 10/22 fall into this category. Both can benefit from the weight savings of fluting, and the reduced cartridge pressure means thinner barrels can be used. Most use a bolt blow back design too, which means fluting can go the full length of the barrel. Carbines that are designed to be broken down easily and carried, like the Ruger PC Carbine, come from the factory with fluted barrels. The barrel length of a pistol is not long enough for the weight saving benefits of fluting to make much of a difference. Reducing the amount of material in certain places, or using polymer instead of metal, has a much greater impact. Pistol barrels don’t have very thick walls to begin with, so not much could be shaved off anyway. The only exception would be .22 target pistols. Most use a miniature internal blowback action, so an external slide isn’t needed. They usually have thick enough barrels for fluting to help save weight, and the cartridge isn’t powerful enough to need very thick walls anyway (Read our Handgun Caliber Guide). 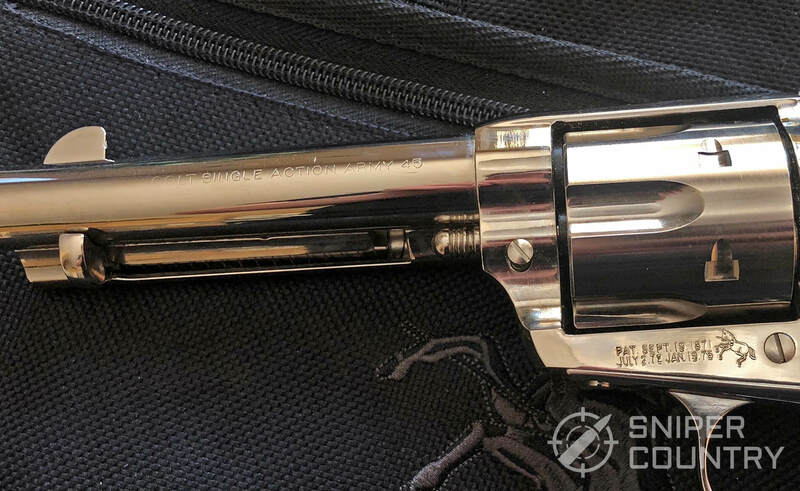 Revolvers typically have fluted cylinders, which is a combination of small weight savings and aesthetics. Cylinder fluting can change the way indexing the barrel feels during reloading, which is more of personal preference concern. It also reduces rotational weight, which can put less wear on the gun over time. Fluting isn’t quite the cure-all that internet rumors would have us believe, but it does have useful applications. As a category, hunting rifles show the most benefit from fluting, followed by small caliber rifles like a .22 or pistol caliber carbine. Automatic weapons have no benefit and can even be harmed by the reduced wall thickness. For guns in between, it comes down to what is most important to the shooter and what best fits their intended application. Above all, barrel fluting is about balance. Shaving metal off a barrel will reduce weight, but it won’t increase rigidity at the same time. For cooling, fins going across the barrel would have much more of a benefit than normal fluting. A fluted barrel will cool off more quickly than a non-fluted barrel due to its reduced mass, but it will heat up more quickly too. The point of fluting is that you start with a larger diameter barrel, remove material so that the barrel weight is less than that of a smaller diameter barrel, but the fluted barrel is more rigid because the diameter at the top of the flutes is greater than that of the unfluted barrel. The flutes, in essence, become longitudinal buttresses that resist the longitudinal firing stress, reducing barrel displacement when firing. That’s right. In equal weight, in most the material is taken away from the axis, in most the barrel is rigid.